"Mommy, I love you. You're the best mother I could ever have! And thank you for doing homeschool with me and being my teacher. 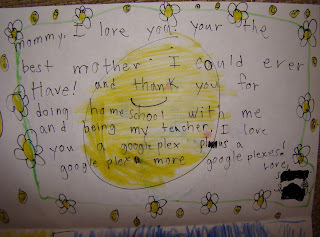 I love you a googleplex plus a googleplex more googleplexes! Love, S"
Literally, I had to fight back the tears. And I gave thanks for my big girl...who is growing up way too fast. 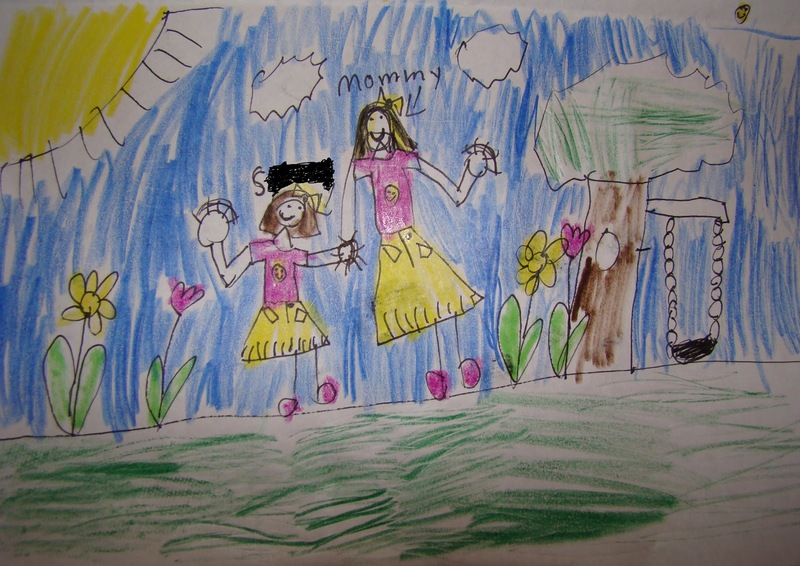 Oh Lord, help me to savor every single moment with Your little princesses. 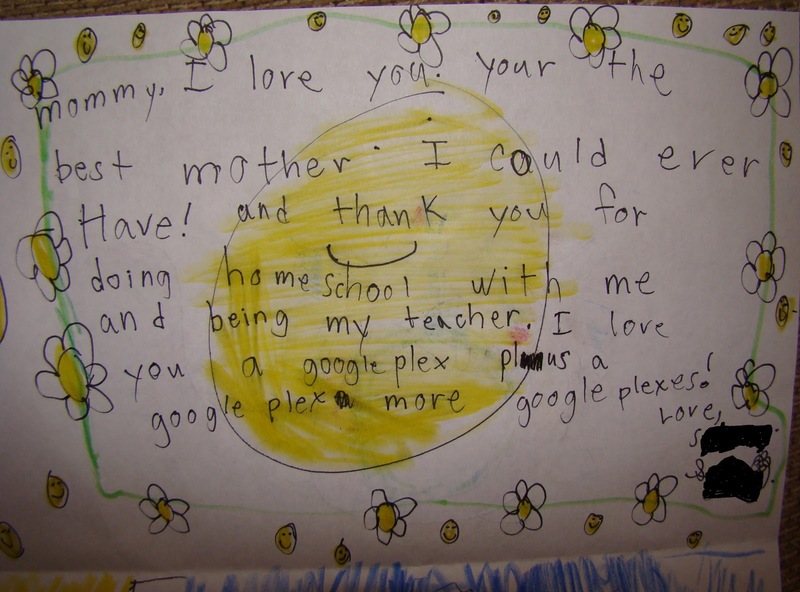 Now, are you wondering what a googleplex is? Well, here's your answer.